Lawyers for AAA threatened to sue a company who booked Pentagon Jr. and Fenix on an upcoming show … but the fed isn’t run by dummies, and they fought back with a legal letter. As we previously reported, LL FMV filed for a trademark on Pentagon’s new name one-week after he announced it at a Crash show in Tijuana. The letter continues, “At the light of the above, we are sending you this communication requesting you to cease and refrain from the unauthorized and misuse of the intellectual property.” Adding, “And also please avoid to hire any person that uses such intellectual property or any other confusingly similar” … otherwise they may exercise legal action. PCW, however, didn’t take kindly to what seems to be a pretty petty move on FMV’s part. 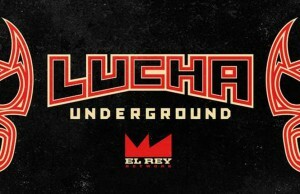 The company goes on to point out that Rey Fenix filed his trademark for the name last year, long before FMV, and they have reason to believe it will get approved. As for Pentagon, they’re confident the company’s trademark attempt will be denied after he fights it in court. PCW also mentions promotional materials don’t refer to either wrestler as Fenix or Pentagon Jr. The initial letter and scathing response can both be found by CLICKING HERE.